This amplified antenna works well for radio installations where a conventional antenna is a challenge to mount or you don't want to drill a hole. Great for hidden stereo installs and clean antenna-less fenders. It simply mounts to the inside of any non metal location and plugs into any standard AM/FM antenna jack. 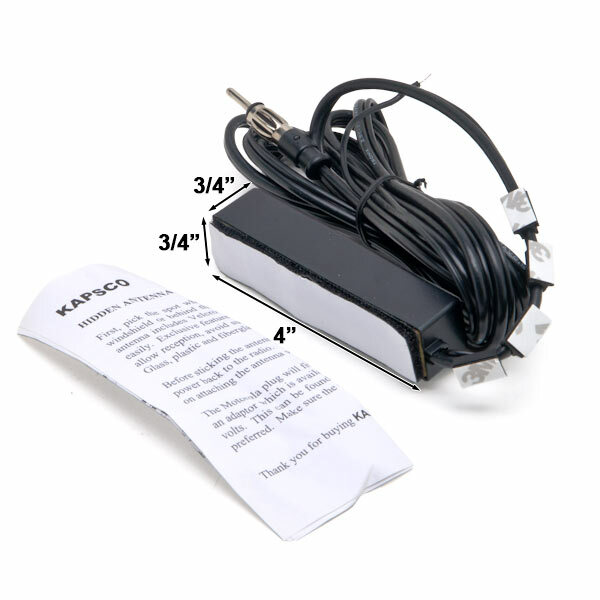 Remove that ugly antenna and install this cool hidden powered antenna with amplifier. Designed for optimum AM/FM reception COVER COVERSing all broadcast radio.